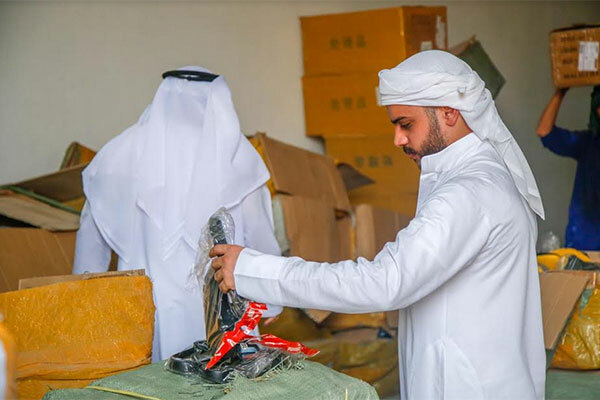 The Department of Economic Development - Ajman (DED-Ajman) has seized of two warehouses in Al-Jaraf industrial area, confiscating more than 60,000 fake goods of well-known brand names, worth Dh6.22 million ($1.7 million). The move falls within the framework of an inspection campaign carried out by the inspectors of the Department of Combating Commercial Fraud, in line with the efforts to secure the markets and combat commercial fraud, thereby ensuring the highest levels of protection of customer rights. All necessary legal actions were taken, and penalties have been imposed against violators, following the confiscation of counterfeit products, which included shoes, perfumes, clothing, bags and leather products.